The Brisbane off-the-plan apartment market is not oversupplied, according to property research firm Urbis. Despite recent media claims to the contrary, new research in the Urbis Brisbane Apartment Insights report clearly shows that the market is in a strong position. The report reveals that the December quarter of 2014 was the busiest sales quarter since the report began, registering more than 1,500 sales. Economic and Market Research Director Mal Aikman said the data revealed that supply to the inner Brisbane market was abundant but sales rates indicated that demand was not far off the pace. “We know that the ebb and flow of the property market means supply and demand are rarely perfectly in step,” Mr Aikman said. Mr Aikman said that the true supply levels were simply the number of apartments that were actually available for purchase. “Looking forward, what we find is that in the first and second quarters of 2015 there are about 5,000 apartments available for sale. “Demand is slightly behind, but not significantly and we’re a long way from saying there’s an oversupply or a glut,” Mr Aikman said. Sales rates for the December quarter were dominated by the CBD, with Billbergia’s Skytower project selling 415 apartments of the total 1,541. This dominance knocked the heavy hitters, Inner South and Inner North, into second and third place respectively for busiest sales precincts. 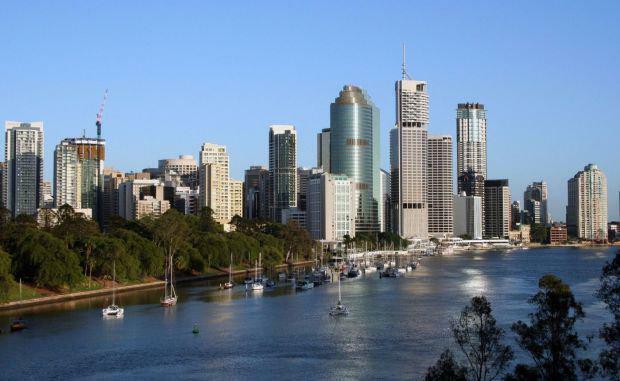 Urbis Associate Director Paul Riga, who co-authored the report, said the CBD’s dominance was having knock-on effects in surrounding fringe suburbs, such as Coorparoo and Dutton Park. “We’re starting to see some diversity of location with the promise of suburbs bordering on the inner ring finally being realised,” he said. Looking forward, Mr Riga said the median house price pushing past $600,000 would mean a large section of the downsizing market will finally be able to sell the family home and move into apartments. “I think we’ll see a lot of movement in the next cycle, where baby boomers and pre-retirees will finally sell the family home they’ve been holding onto and move into an inner city apartment,” Mr Riga said.